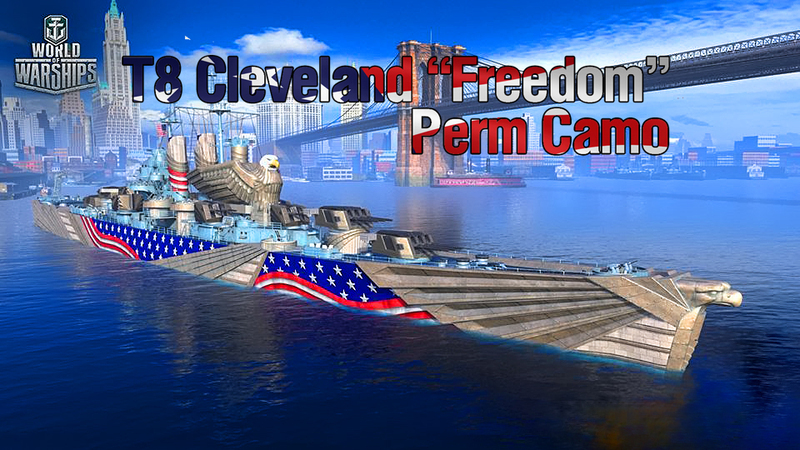 "Freedom" camo is added for the tier VIII American cruiser Cleveland. "Stars n'Stripes" consumable camo is added to the game. 2 new commemorative patches are added to the game: "Old Cleveland" and Admiral Halsey patch. 32 football-themed patches are added to the game. "American cruisers" collection is added to the game. It comprises 48 elements, among which there are stylized images of cruisers, historically significant American naval weaponry, US naval decorations and distinctive signs of US navy staff. Completing the subcollections will allow players to change the colour of standard camos for American ships and mount second flags on them.